I’ve got a newborn so brace yourself for a lot of 30 minute meals. Even though I have the best and most mellow baby, it seems impossible to get anything done. It is partly my fault because I snuggle her all day long. But the truth is I am tired and the last thing I want to do is make an elaborate meal for the family. But the best part about it is that you can make an easy 30 minute meal but still have it be incredible! And you can never go wrong with the butter garlic and herb combination. Am I right? L-O-V-E using fresh herbs when I cook. And thyme is always the star of the dish and one of my favorite herbs to use. The smell of fresh herbs cooking in a buttery garlic sauce is incredible. 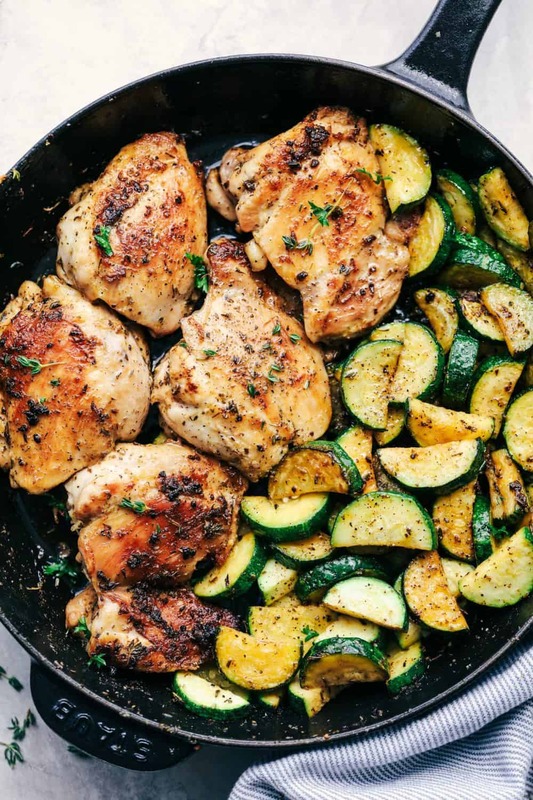 The chicken was perfectly tender and juicy and then you have the zucchini. 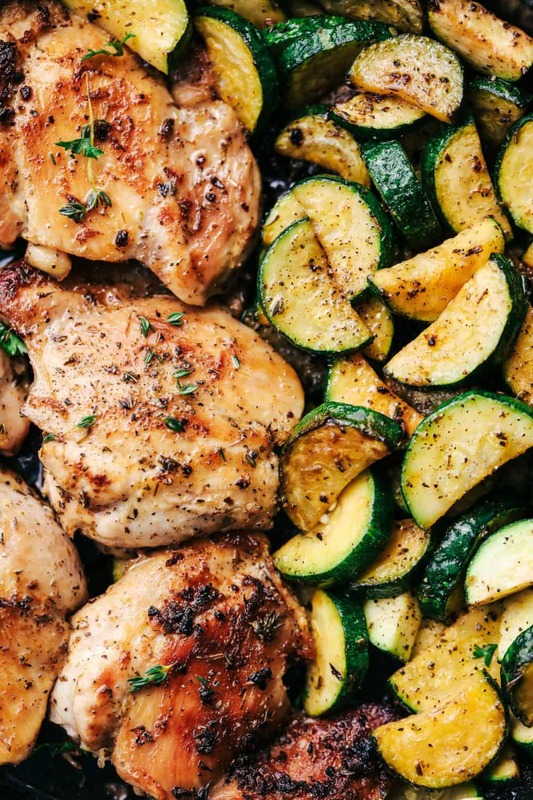 Zucchini is my summer jam so brace yourself for a lot of it as well. It is so so good sautéed in the buttery garlic herb sauce and they are perfectly tender. 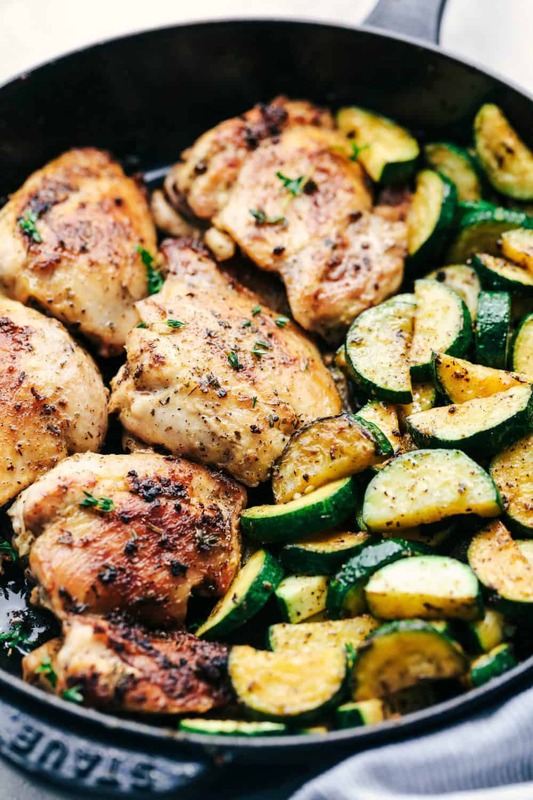 It was the perfect pairing with the chicken and makes for a complete low carb meal! You are going to love it. In a medium sized skillet over medium high heat add the butter until melted. Add the garlic, oregano, rosemary and thyme. Add the chicken and cook for 3-4 minutes on each side or until chicken is no longer pink and 165 degrees. Remove chicken and set aside on plate. Add the zucchini to the pan and salt and pepper. Saute for 2-3 minutes or until tender. Add chicken back to the pan for a minute or so and serve. 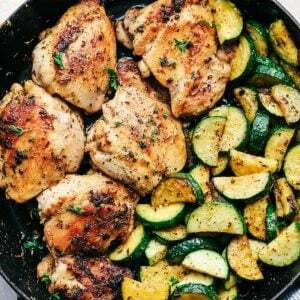 0 Response to "BUTTERY GARLIC HERB CHICKEN WITH ZUCCHINI"